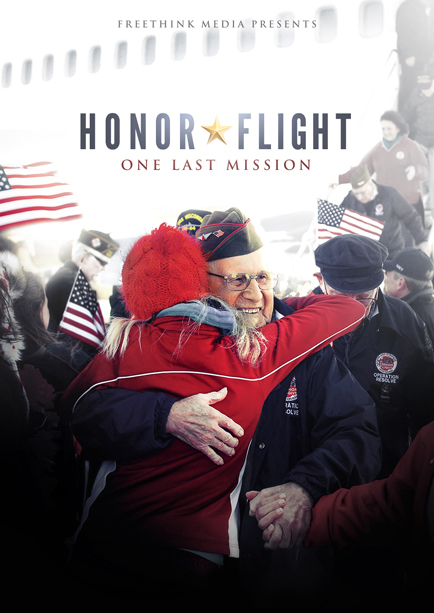 Honor Flight is a feature-length documentary that chronicles a community coming together to honor living World War II veterans, one last time. The film follows a devoted team of Midwest volunteers as they race against the clock to send every local WWII veteran to the Washington, D.C. memorials built in their honor. The more they do, the more the cause takes on a life of its own. The film captures Honor Flight from the point of view of the volunteers and veterans, who share their war and life stories along the way. The trip itself is a profound event, filled with surprises and acts of appreciation from a grateful nation. The all-but-forgotten veterans are heroes once again. The vets, volunteers and even complete strangers are often moved to tears by the power of the experience. Throughout the day, veterans begin to share their war stories - sometimes for the first time ever.